The prison company says it will comply with any new laws. DALLAS — A Texas lawmaker on Tuesday introduced legislation tightening up a state rule that has allowed a private, for-profit company to employ large numbers of county jailers with temporary licenses. The bill, filed by State Rep. Bill Zedler, follows a WFAA investigation that found LaSalle Corrections was taking advantage of a state rule that allowed jailers to work under a temporary license for up to a year with no training required. The company runs jails in Parker, Johnson and Bowie Counties, and several others in Texas. WFAA's investigation found that at the company’s Parker County jail, 26 percent of its jailers had these temporary licenses. At Bowie County, it was 31 percent and Johnson County, it was nearly half of the jailers. By comparison, less than one percent of the guards in Dallas, Tarrant and Kaufman County had temporary licenses. Zedler’s legislation would require that within 90 days, all county jail guards -- not just LaSalle's employees -- complete training and pass the state exam. “I suspect they’re going to have to increase the pay and when they do that, you’re going to expect to have a better run facility,” he said. He told WFAA that he was shocked to learn that there were jails operating with such a high percentage of guards with temporary licenses. “When you first told me, I said what we need to do is file a bill and correct this,” said Zedler, a Republican from Arlington. He said he believes having such high percentages of guards with temporary licenses puts both jailers and inmates’ lives at risk. “I think what we find is that 90 days is a good period of time to sift out” those employees who decide that working in a jail is not for them, Kurpiewski said. He added that, if the proposal becomes law, the company would pass on the additional costs to meet the 90-day requirement to the local governments that contract with the company. Current and former jailers have told WFAA the company’s jails are poorly run and understaffed with young, inexperienced guards ill-prepared for the job. The current and former jailers said that LaSalle’s training typically consisted of about a week of watching videos, followed by a few days to a week of on-the-job training. They said they were not taught defensive tactics until they’d been on the job six months or more. Kurpiewski also defended the company’s current training practices. He said new jailers are given a week of classroom training, as well as some on-the-job training where they shadow experienced jailers. He reiterated that is legal to put jailers with temporary licenses in the jail to work before they have completed the basic county jail course. “If they have the temporary license, they’re able to be on the floor,” he said. He said from the company’s perspective, it makes sense to delay putting jailers through the basic county jail course. That way, if jailers decide working in a jail is not for them, the company has not wasted money putting them through the course. By contrast, Dallas County puts jailers through a four-week academy followed by six months of formal on-the-job training with a training officer. New Tarrant County jailers attend a seven-week academy followed by four weeks of working with certified field training officers. WFAA's investigation also detailed the death of Andy Debusk inside the Parker County jail in December 2016. DeBusk, 38, died 28 hours after being booked in on an assault charge. Graphic videos show the deadly confrontation with LaSalle jailers on Dec. 24, 2016. The video shows DeBusk screaming over and over that he couldn’t breathe and that he thought he was going to die after guards pepper sprayed him and tried to restrain him. Jailers placed their knees into his back as he lay face down. DeBusk’s face was purple and gray. An autopsy would later conclude that the “physical struggle” contributed to DeBusk’s death. 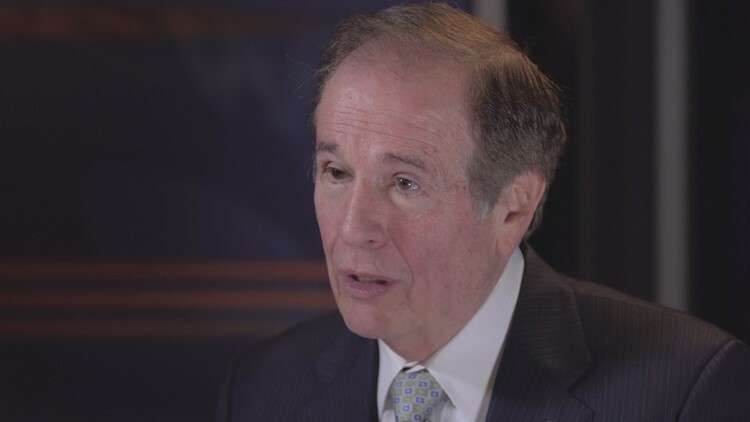 “Here clearly was a prisoner who perhaps lost their life simply because they had untrained guards,” Zedler told WFAA. His family alleges in a lawsuit that ill-trained guards violated the company’s polices, setting in motion the events that led to his death. Several of the jailers involved in the DeBusk confrontation had only been on the job a few months and only had temporary jailer’s licenses. One was one of the guards videotaped with a knee in DeBusk’s back had only been on the job two months and had not been through the state-mandated course. He told investigators he had no prior correctional experience and had worked in construction. Last year, WFAA discovered five deaths in three county jails run by LaSalle that came after jailers falsely claimed to have checked on prisoners when they had not done so. Kurpiewski said the company does not condone jailers falsifying jail checks and in fact, he said the companies fires jailers who are caught doing it.